Deeper, richer colours in an eco-friendly water base that’s safe for you and your home. eco-friendly water base that’s safe for you and your home. Discover our curated palette of 132 colours, blended from rich pigments and an eco-friendly water base. Create a home you love with our long-lasting colours and finishes. Browse our collection of handcrafted wallpapers and pick your favourite from florals or stripes, geometrics or plains. 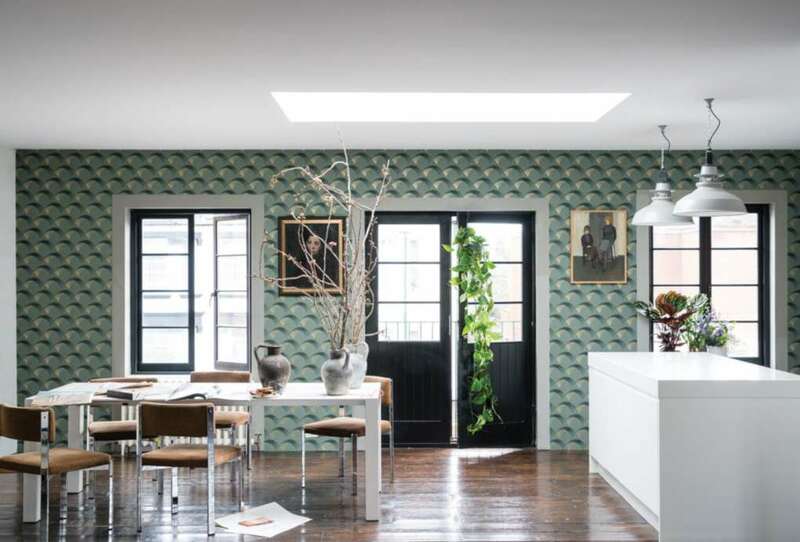 Bring your home to life with handcrafted wallpaper, now in striking golds, silvers and coppers. Not sure where to start? We’ve got floor-to-ceiling inspiration for every room of your home, plus a few helpful hints. Discover three new additions to our collection with The Rug Company, and the schemes that’ll make them look right at home. Introducing our inspiring new book, bursting with beautiful imagery and practical advice for transforming your home. The coveted Farrow & Ball colour card, featuring our carefully curated palette of 132 shades and the intriguing story behind each colour name. Less confident with colour, working with a difficult space, or simply stuck for time? Gather tailored advice from our colour experts. Use our store locator to find a showroom or stockist near you. For ideas on your next decoration project, why not sign up to our email communications?